How do we extract the right data to tell the most important stories and then present them to others in a way that can make a difference for clinicians and patients? This question is truly at the heart of data visualization. 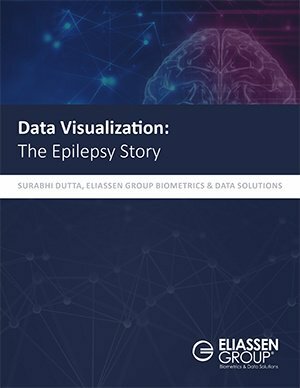 In this paper, Data Visualization: The Epilepsy Story, we aim to do just that; we tell the story of epilepsy based upon the exploratory analysis and visualization of data for clarity. This paper is in support of every single person who has epilepsy or seizure disorders, takes medications, and/or has devices or has had surgery. In the US, one in every 26 Americans will develop epilepsy in his/her lifetime, bringing the total to about 3 million Americans and 65 million people worldwide who are living with this condition. While it is like a drop of water in the ocean of problems and possibilities for a person living with epilepsy and his/her caregivers, we do hope that it will help to tell the story through hospital discharge level data and derive better interpretations that made lead to improved treatments and, ideally, a cure.